Have you met Dr. Penk and his super robot Goriborg? The genius doctor aspires to take over the earth, but that hasn’t dampened our enthusiasm for the paper-crafted pair. Dr. Penk and Goriborg are the creation of Takashi Tsunoda, a designer in Japan. His handiwork is all about hand work -- Takashi wants kids and adults to use their hands and stimulate their brains when they’re making his Piperoid robots. Takashi came up with the concept after rolling newspaper bits into straws and building figurines with them. His other robotic duos include hard-rocker Guyzer and his apprentice (and only fan) Bean, and the energetic samurai warrior Rokusuke (whose sword is too long to brandish) and his dog Hachi. All the characters are built entirely out of paper, and they have movable joints so you can put them in different poses while you’re playing. Each kit comes with paper pipes that have pre-drilled holes and marks so you know where to cut, fold and connect the pieces. You don’t need any glue or tape, just a pair of scissors. You can get creative with the pieces, too. If you move or swap different Piperoid body parts, you can invent your own paper droids and plot your own planetary takeover. Hi! 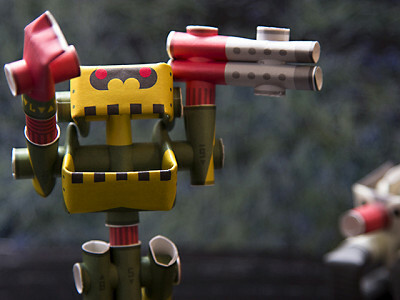 It's great to have an opportunity to share with you our unique paper robot kits called PIPEROIDs. They are designed and produced in Kyoto, Japan by ex-Nintendo engineers who were actually responsible for making the original Gameboy handheld game console back in the 90's. The kit includes paper pipes - some with holes predrilled - that can be assembled using only scissors. 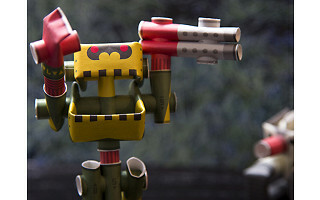 All the joints can move, and can even be exchanged with other models to come up with your own original style. The attention to detail and design that the team engineered results in a simple but gratifying craft project where you can make a pair of robots in about 30 minutes. Our goal is to have both kids and adults alike be able to step away from digital gadgets for a moment and rejuvenate the creative mind hidden in each of us. These look great! What is the recommended age range? @andrea banyas Putting the pipes through the hole requires some dexterity thus we set the age to 10+. However it's good as a bonding project to do together with small kids as early as 6. Let them do the cutting and finding the pieces which is more than half the work. Takes just 30-40 minutes to do it together! Great, they look perfect for my boys! One more question -- does the three-pack come separately, so I could give one to each of my older boys and save one as a gift? @andrea banyas Yes, they come individually packed. However I need Daily Grommet staff to comment whether you get 1 of each or 3 of the same (or 2 of same and 1). @Shinya Fujimoto and @Andrea Banyas, you get to choose whichever three you want. Select the "three" option, and then you'll be asked to select exactly which ones you want. Are their version(s) or directions to create/design other figures? e.g. botanicals, animals, insects, sea creatures..Thanks for.a wonderfully Japanese gift--"Simply" beautiful. @ kkskatherine Thank you for your kind comment. As for your question, these can only make the characters noted. By the way, this has proven to be a very popular Grommet, "flying off the shelves" as they say. A lot of people are buying multiples saying they are for gifts. @DJP Indeed they are perfect for stocking stuffers and holiday gift exchange events. The package is ideal size as they come in an envelope reminiscent of an incense package at first glance. Have you met Dr. Penk and his super robot Goriborg? The genius doctor aspires to take over the earth, but that hasn’t dampened our enthusiasm for the paper-crafted pair. 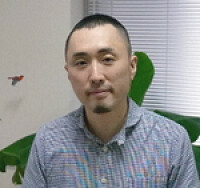 Dr. Penk and Goriborg are the creation of Takashi Tsunoda, a designer in Japan. His handiwork is all about hand work -- Takashi wants kids and adults to use their hands and stimulate their brains when they’re making his Piperoid robots. Takashi came up with the concept after rolling newspaper bits into straws and building figurines with them. His other robotic duos include hard-rocker Guyzer and his apprentice (and only fan) Bean, and the energetic samurai warrior Rokusuke (whose sword is too long to brandish) and his dog Hachi.